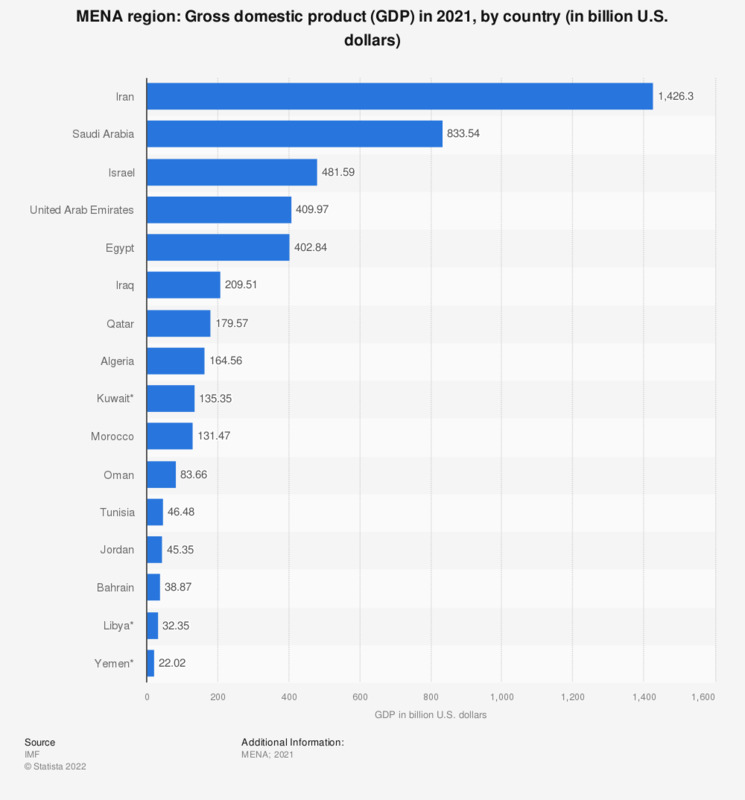 This statistic shows gross domestic product (GDP) of the MENA countries in 2017. The MENA region in North Africa and the Middle East comprises the countries Algeria, Bahrain, Egypt, Iran, Iraq, Israel, Jordan, Kuwait, Lebanon, Libya, Morocco, Oman, Qatar, Saudi Arabia, Syria, Tunisia, United Arab Emirates and Yemen. In 2017, GDP of Algeria amounted to approximately 167.56 billion U.S. dollars. The source does not provide data for Syria. Everything On "Iran" in One Document: Edited and Divided into Handy Chapters. Including Detailed References.